A family venture, where we are working together to make our dreams come true. 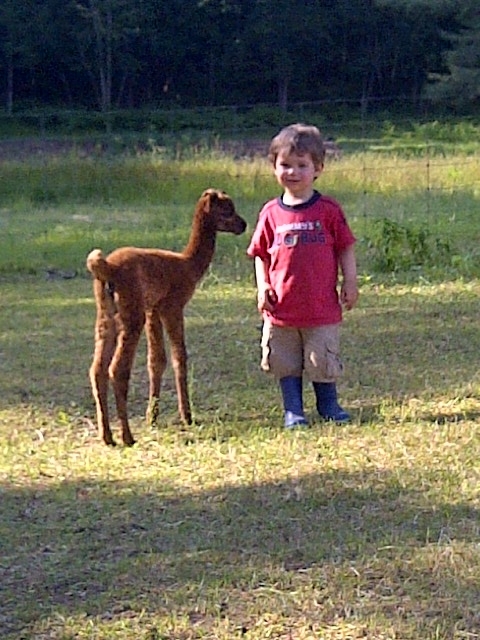 Alpacas and gardens go hand in hand; to create a world of wonders and healthy living. Dare 2 Dream Alpaca Farm & Sandy Loam Produce is the home to child, parents and grand parents, who all thrive to create a natural, environmentally friendly and organic farm for all to enjoy! 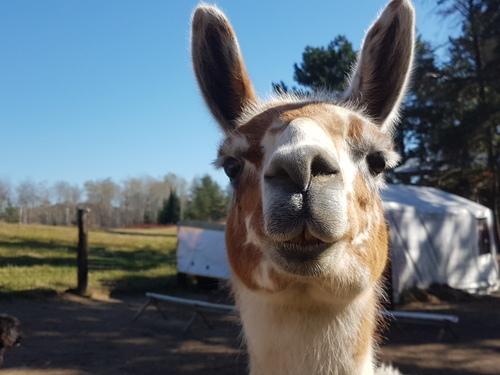 We invite you to come spend some time with our Alpacas, stop in and check out our fresh vegetables, brown eggs, and free roaming chickens; maybe even spend some time chatting with us. We enjoy sharing our love of life with everyone. See you soon. An Espanola couple say they are living a dream life by raising alpacas and growing produce. In 2012, Lina Godard and her husband purchased Dare 2 Dream Alpaca Farm and Sandy Loam Produce. They started their venture with five alpacas. Today, the couple has a total of 34 animals — with another two being born this week and two more alpacas on the way. 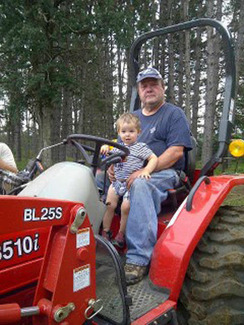 “My husband and myself have dreamed of being farmers for a long time,” she said. But they worried about caring for large farm animals and how difficult it would be to care for them in the future. “We’re not that young anymore. 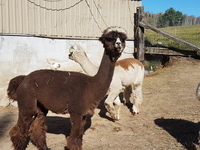 So through our readings, we came across alpacas — and the size of the alpaca is what intrigued us.” The animals are sheared once a year, usually in May, Godard said. “Alpaca fibre does not have lanolin, therefore, that scratchy feeling that you may get out of wool, they don’t carry,” she said. Once they’re sheared, Godard sends the material to a mill to be processed, before being sold as a yarn at farmer’s markets. Godard said the animals are "quite simple" to care for, but adds they are known to spit at one another. “Occasionally, you get caught in the cross-spit,” she said with a laugh. About four acres of produce are also produced on the farm, including beans, peas, carrots, corn and potatoes. “Though it’s a lot of work … it is such a fulfilled feeling to be a part of this,” she said.